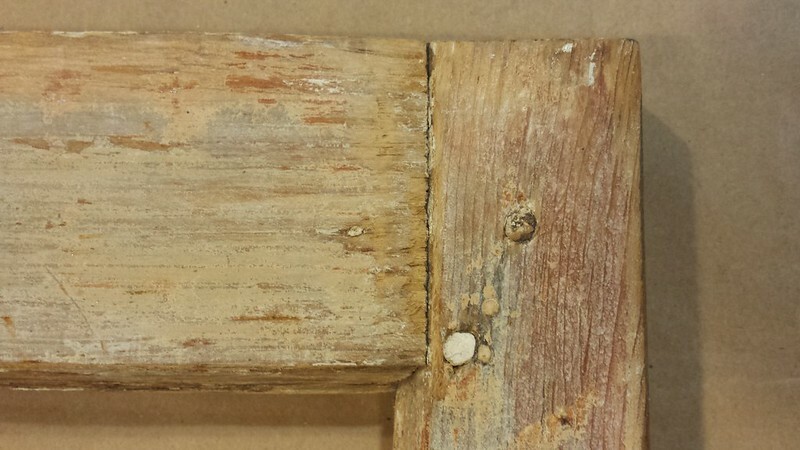 I'm hoping the experts on this forum can give some advice for a window sash I'm restoring. I've watched videos and read several threads about sash repairs, but didn't find all the answers I was looking for. 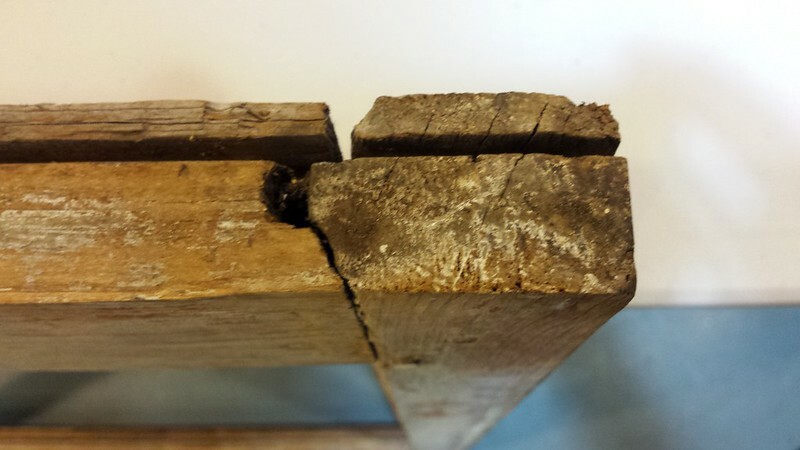 The lower sash has a gap of about 1/8" at the joint between the bottom rail and stile, but the gap is only noticeable on the exterior face of the sash. The interior face doesn't show a gap. Looking at the bottom edge of the sash shows a slight twist of the stile but it doesn't seem enough to cause all of the gap. I'd like some advice on how to close the 1/8" gap as much as possible. 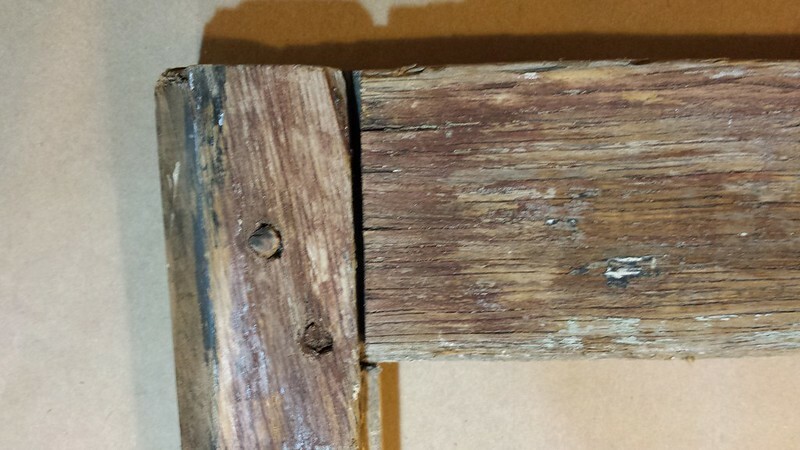 Should I disassemble the sash and clean out any debris in the joints that might prevent the gap from closing up? Should I attempt to "un-twist" the stile in some way? 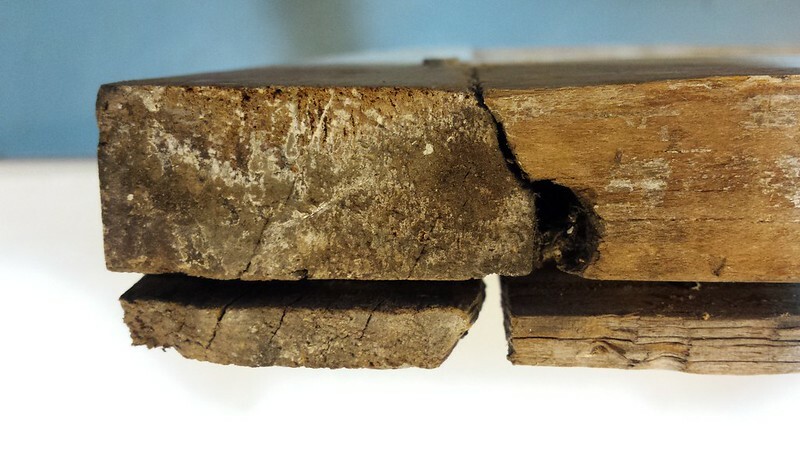 That's a particular problem resulting from the type of weatherstripping that was used. Routing into the sash weakens the sash and promotes warping and checking, most especially when the weakened area is in contact with metal. As the interior is pretty much pristine, and as there is very little surface for epoxy to take hold, I would proceed as is, and pack the void with glazing compound prior to painting. Another question... With the glass removed, the sash frames are a bit wobbly since the mortise and tenon joints are a little loose. Should I do anything about this or just leave it alone? I assume the sashes won't wobble after the glass is reinstalled. With the glass removed I can rack the frames from side to side about an inch as measured from the top of the sash when the bottom of the sash is held stationary against the floor. Place the glass in the rabbits to insure clearance and straightness. Squeeze the stiles into position with bar clamps and set additional dowels at the corners. That's good advice from George, the sash guy. You could also use a modern flexible sealant at the open joint, such as Sonolastic's NP1, or Alex Plus, if you have either on hand, otherwise putty is adequate.